Alex's Motorcycle Adventure Alaska, Mexico, Central + South America! 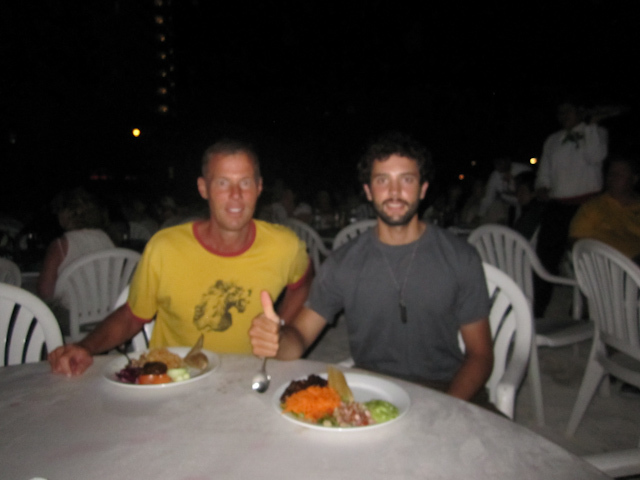 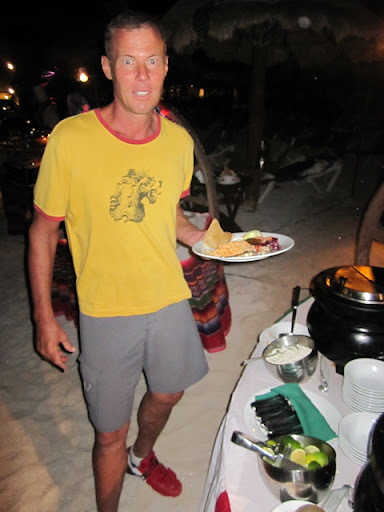 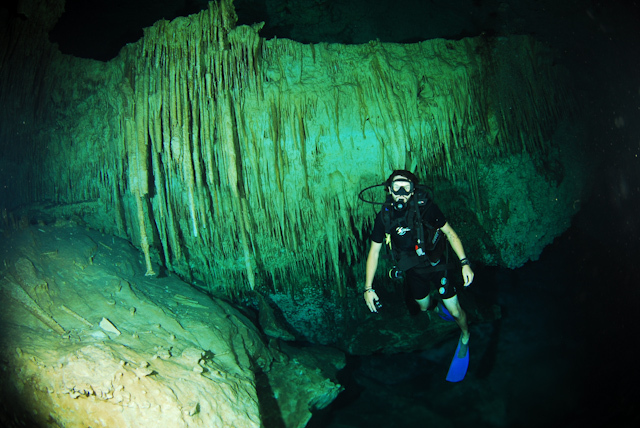 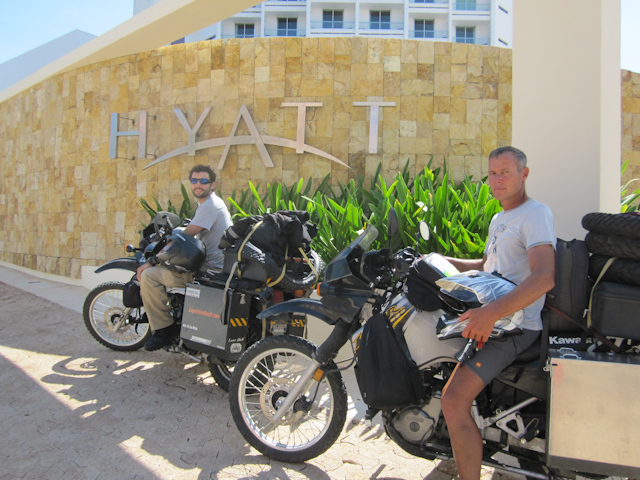 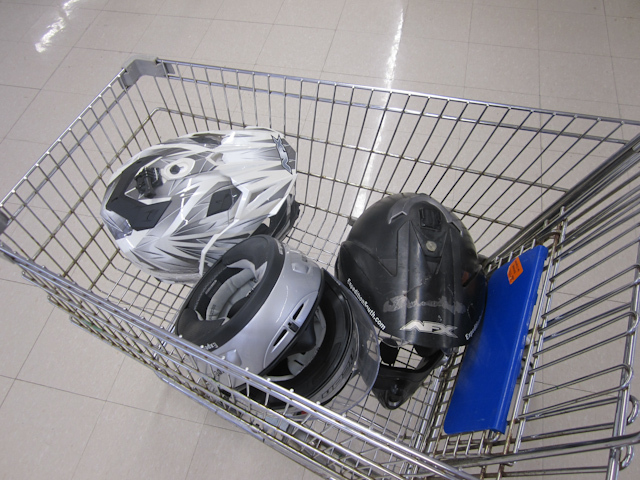 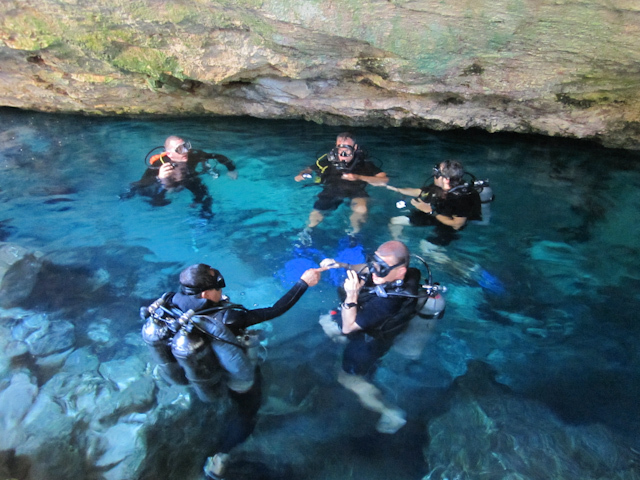 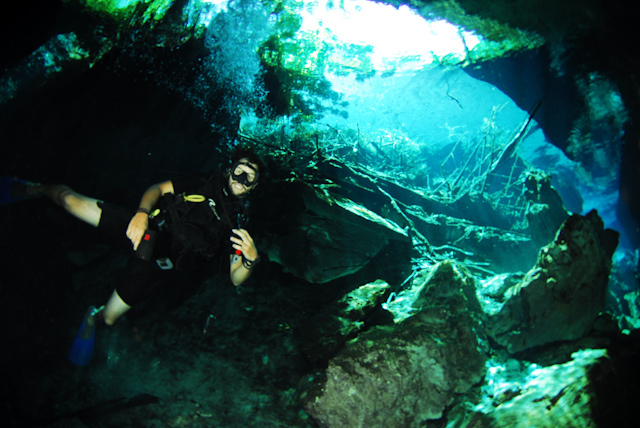 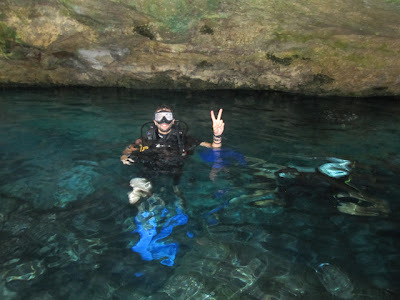 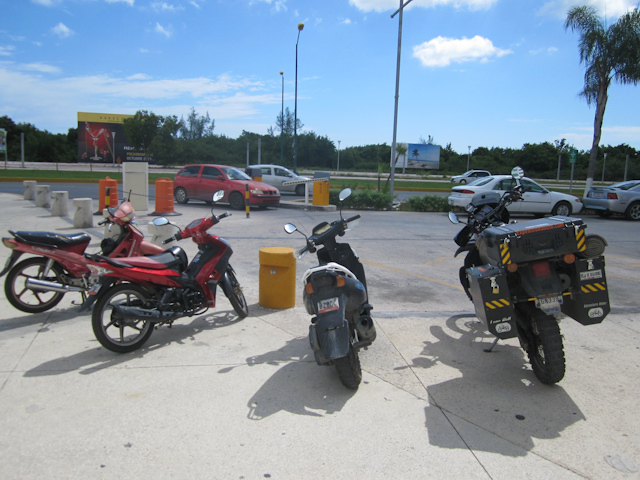 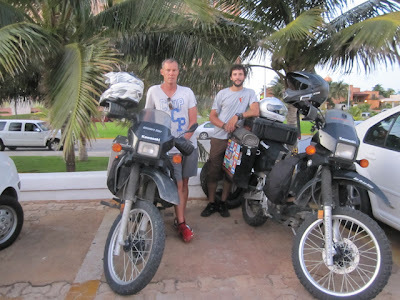 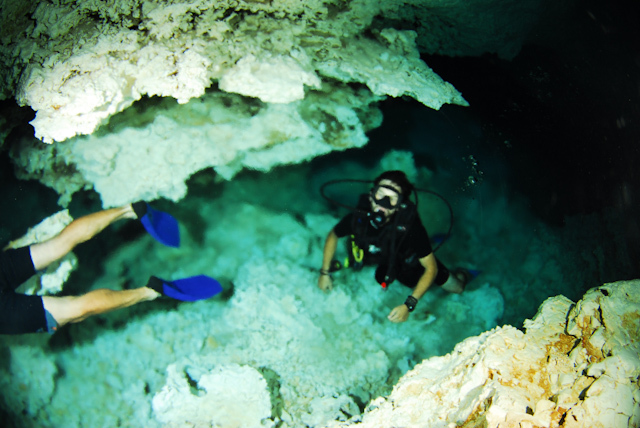 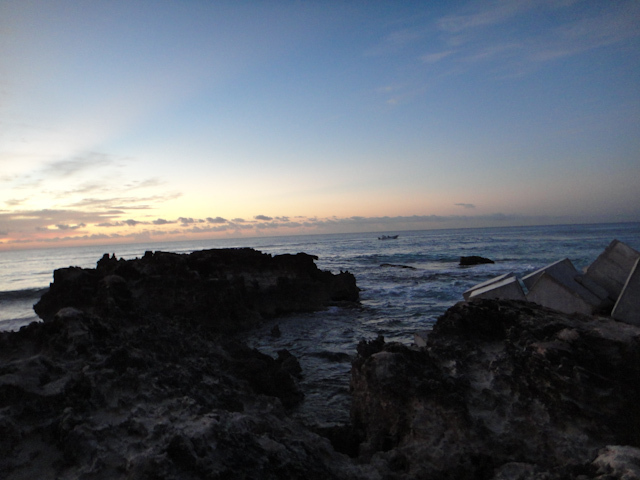 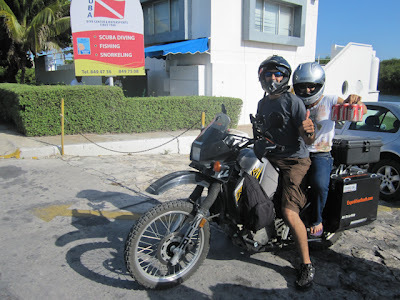 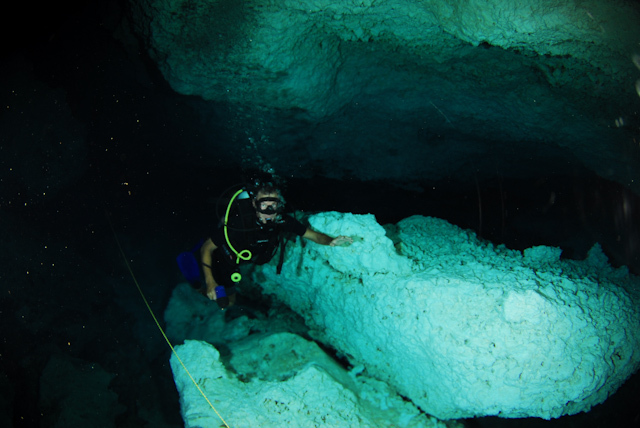 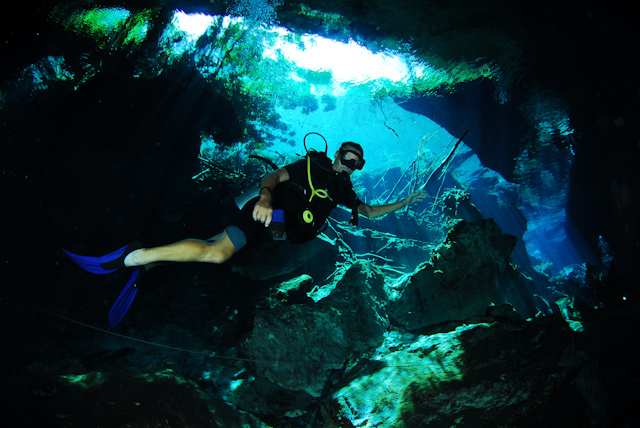 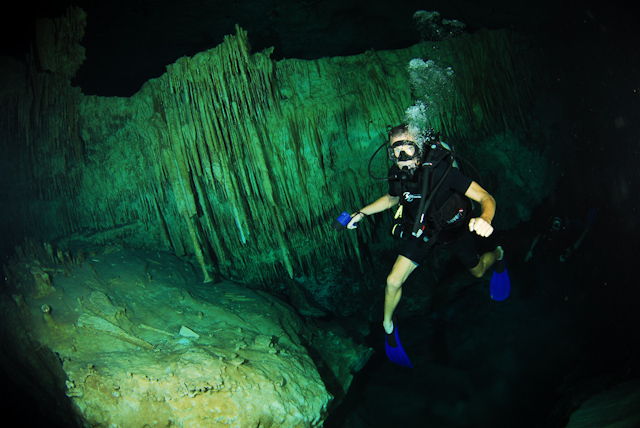 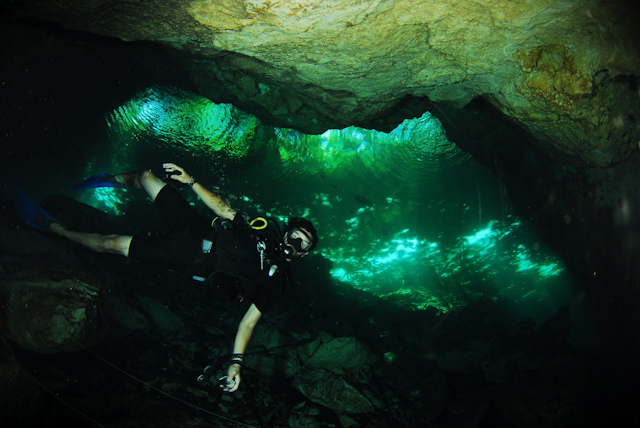 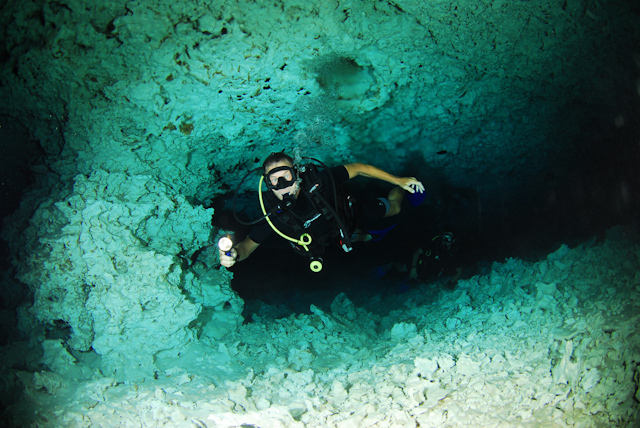 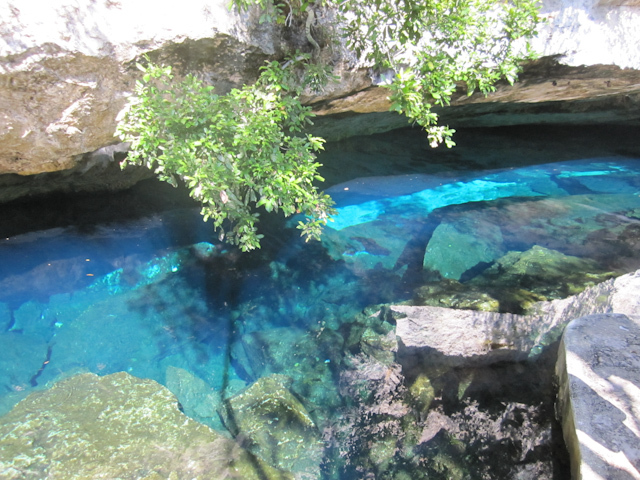 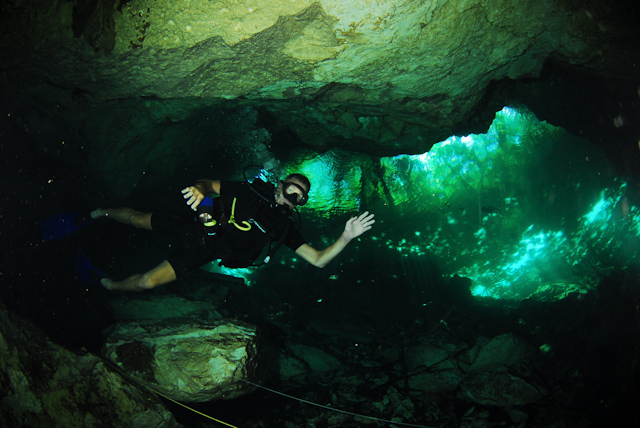 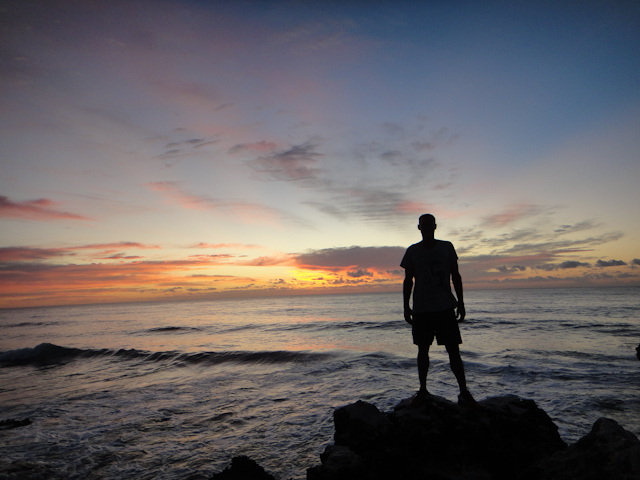 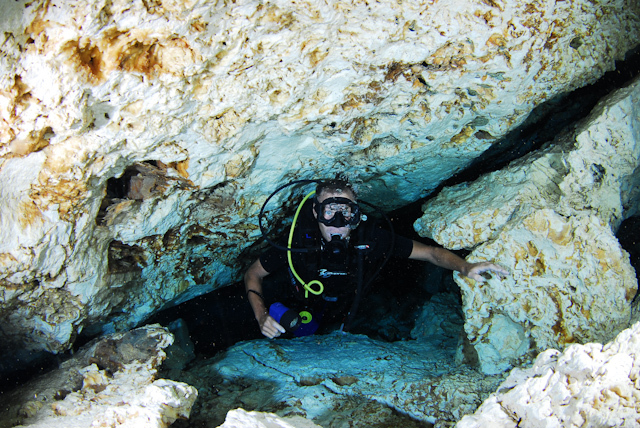 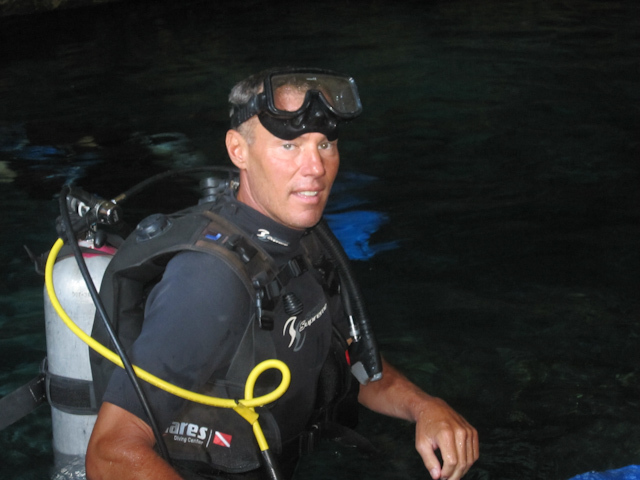 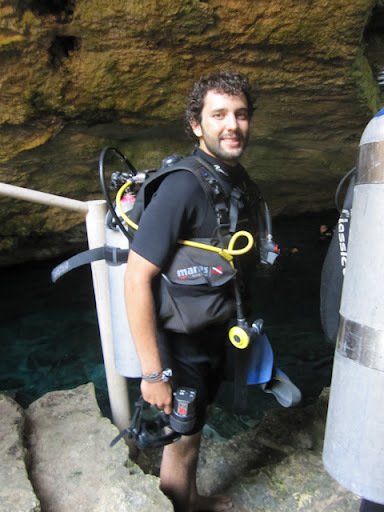 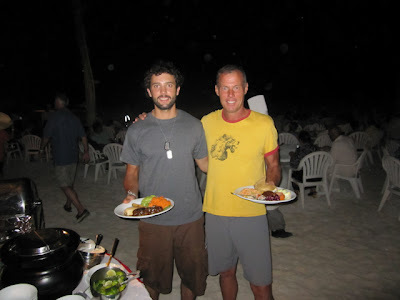 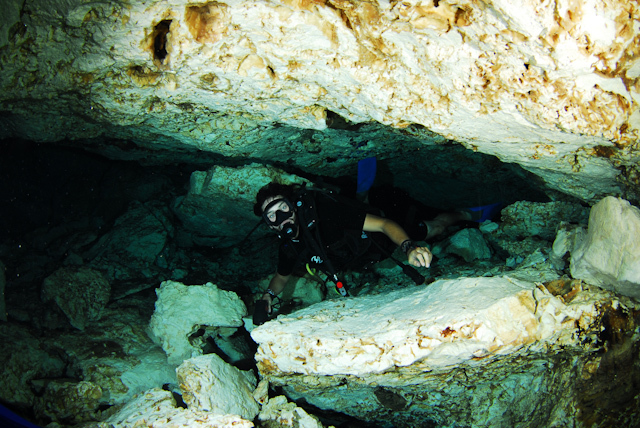 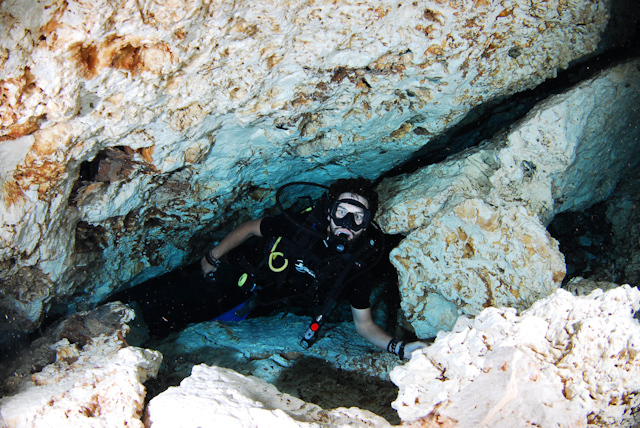 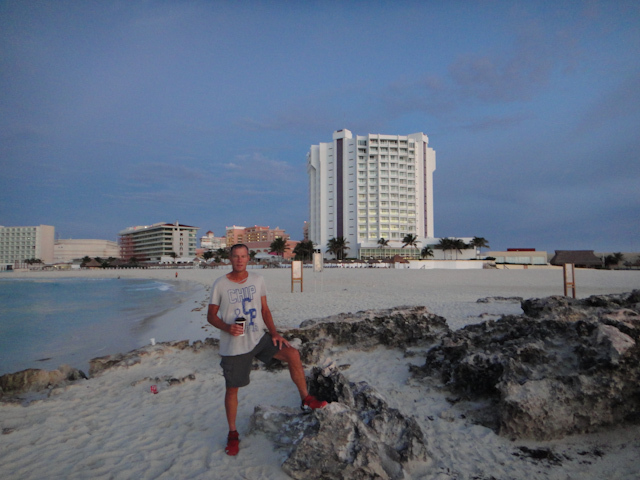 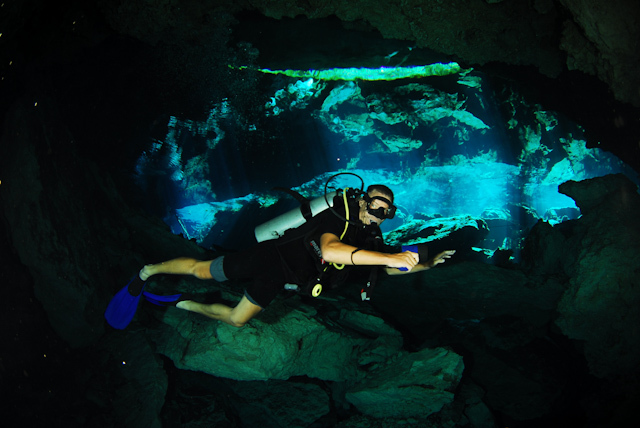 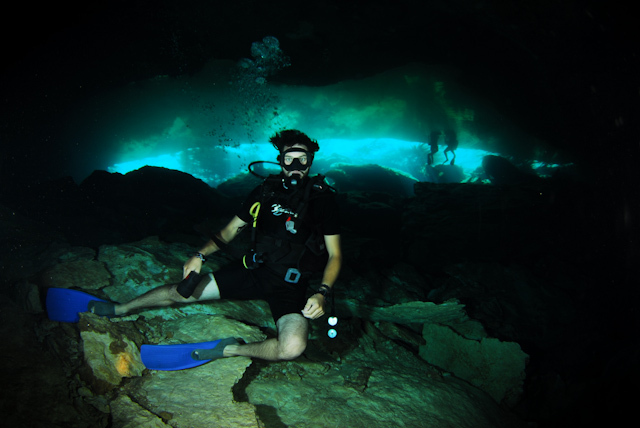 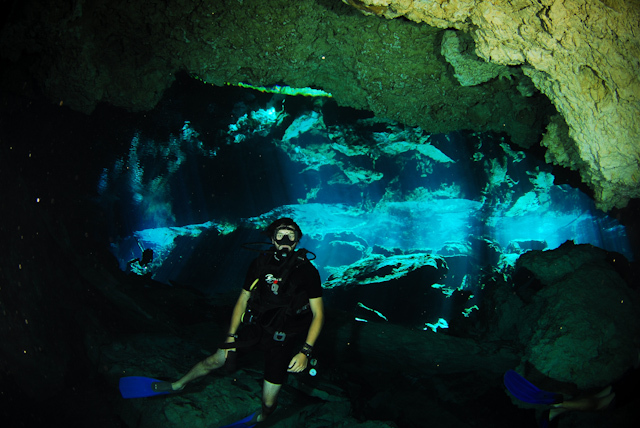 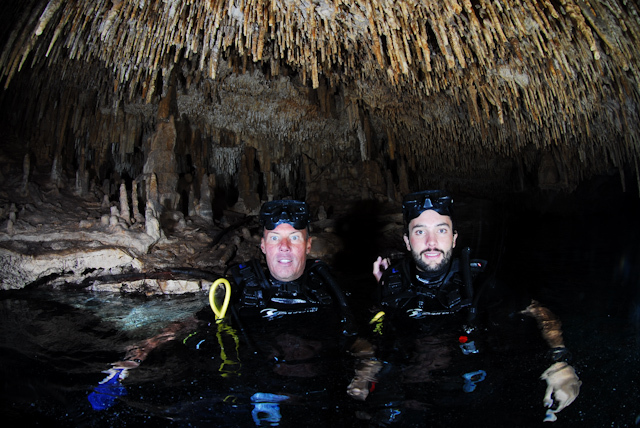 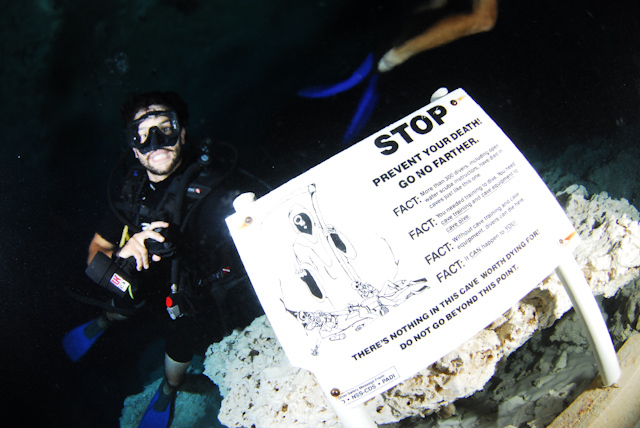 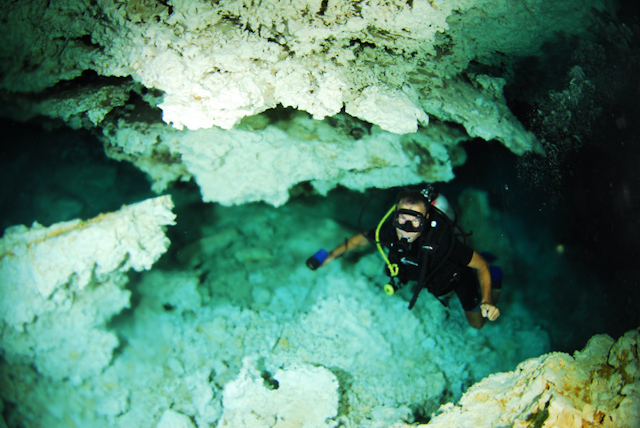 Modern Motorcycle Diaries: Chac-mool Cave Diving Cenote, Cancun Party crashing! 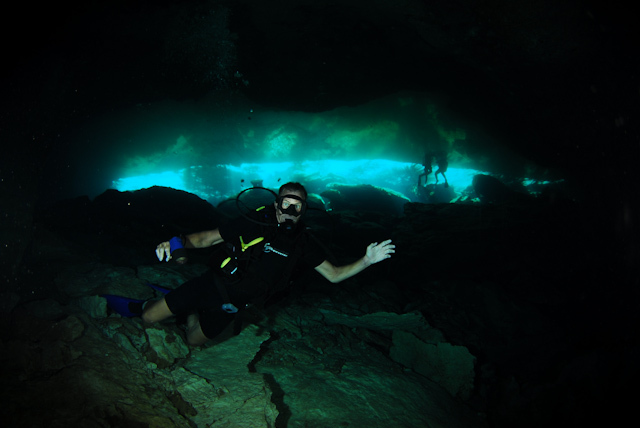 Chac-mool Cave Diving Cenote, Cancun Party crashing! 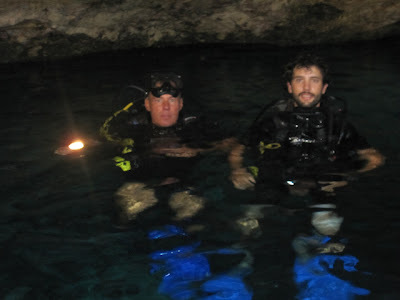 and set off for the chac-mol cenote for some cave diving, I had visited this one last year but was worth the second visit with David. Scuba Alex reporting for adventure cave diving duty! 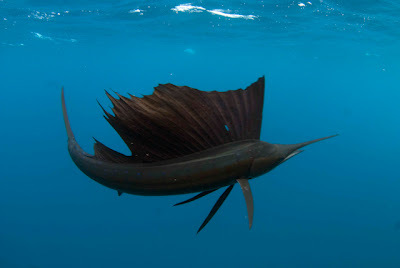 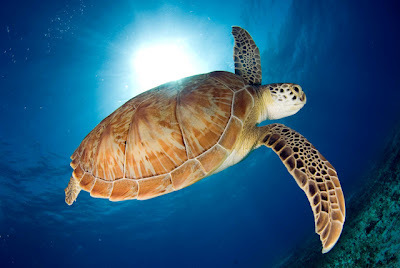 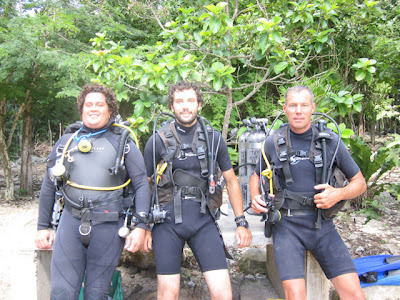 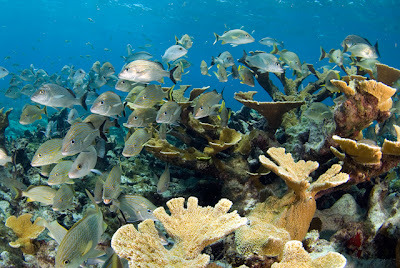 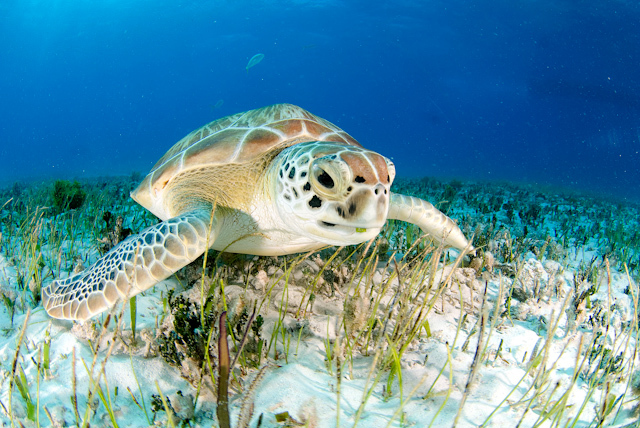 scuba diving pictures and experience. 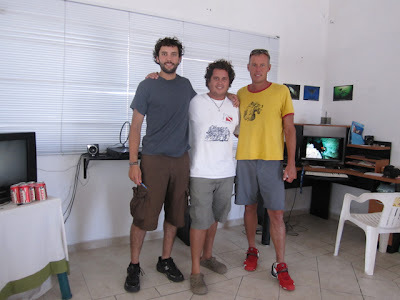 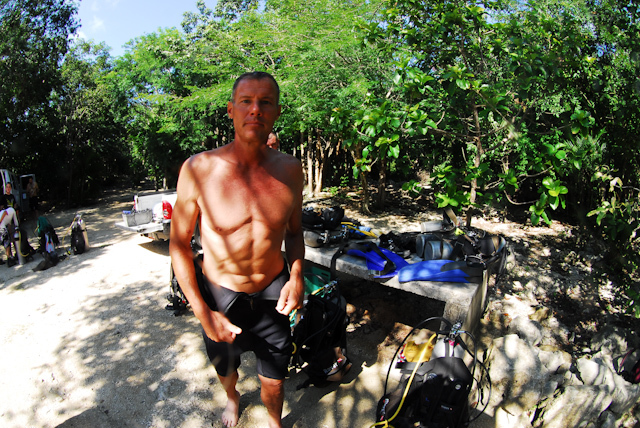 By far the best underwater camera guy I´ve seen, A plus! 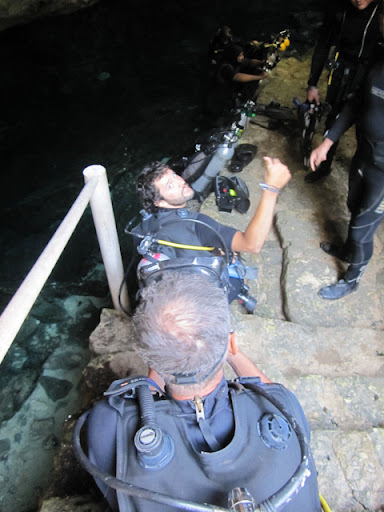 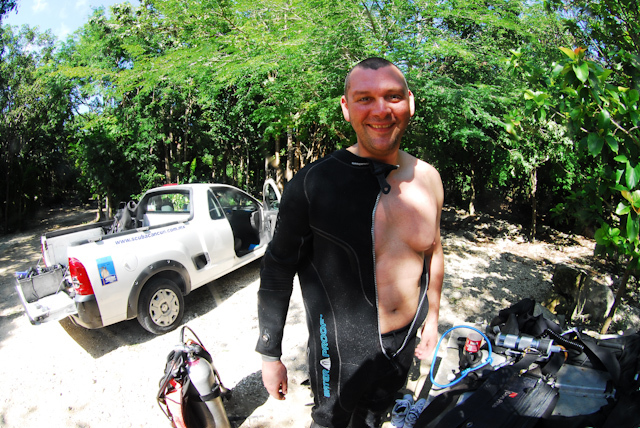 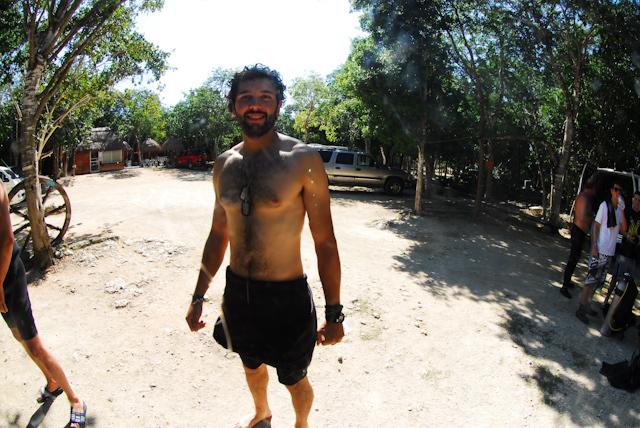 David was pretty happy with the cenote experience, saying it’s indescribable until you do it. Which I must agree. 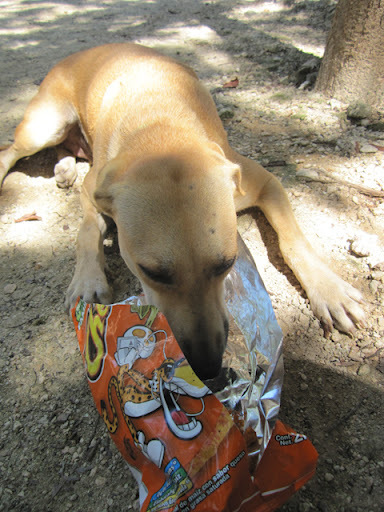 We even found the official Cheetoh cenote eating dog that chews his food. 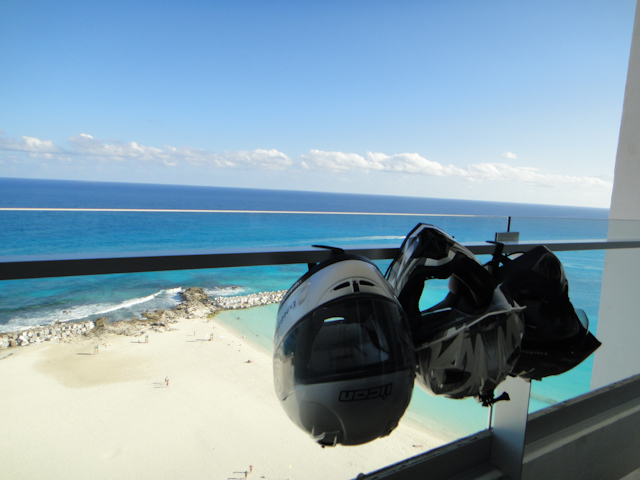 As David said, Beer, bike and babe, what else do you need right? 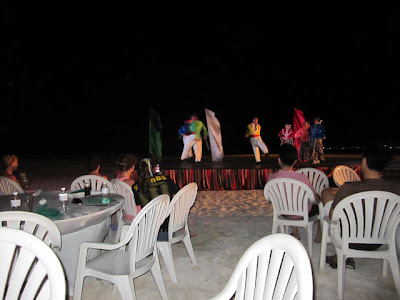 That night we noticed a pretty cool party going on at the hotel next to us. 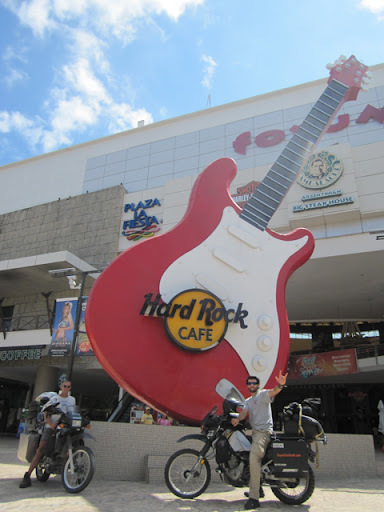 It was so good in fact we decided to go. 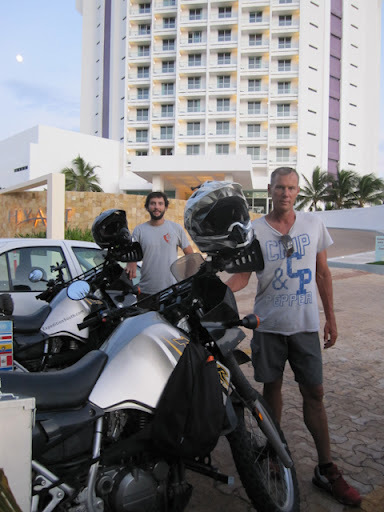 Little to our knowledge it was an all-inclusive hotel with list of hotel guests and such to get in where they check you and such. Needless to say, we were not guests but that didn’t stop David and I was we were set on reaching that buffet line. 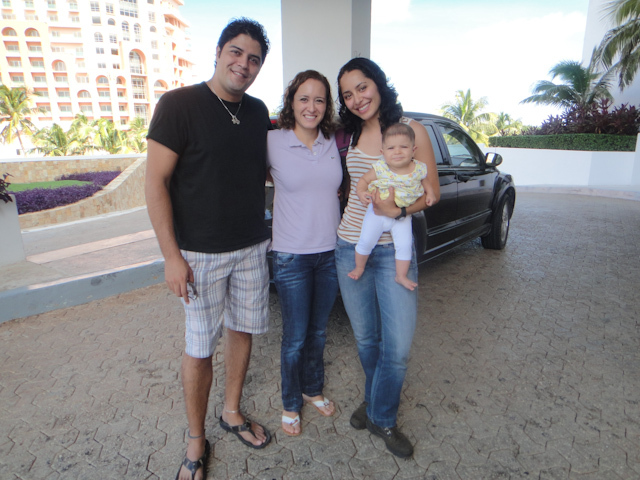 Reaching the hotel we were asked what room we were in, lucky for me everyone there was America/Gringo so David and his yellow shirt and red shoes blended in nicely, not like last time where we were thrown into a clown show because of them. 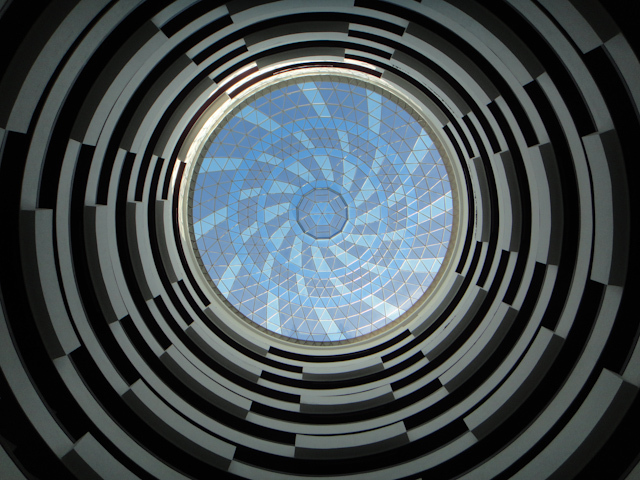 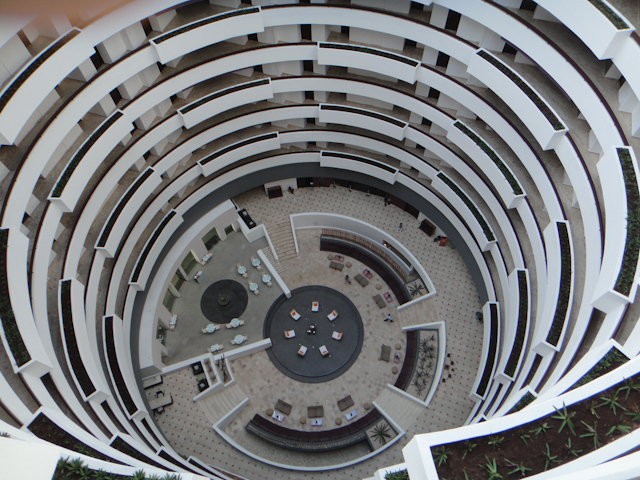 As David told the guy we were in room 1219….I looked up at the hotel and noticed that there weren’t even 12 floors to the place. 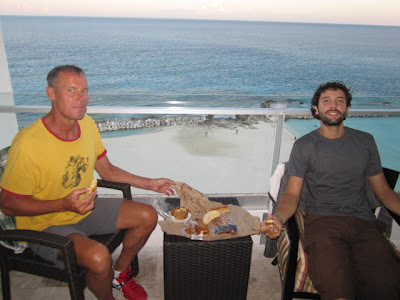 Granted, David did not lie, he told them the actual room number he was staying in, we just happened to be at another hotel. 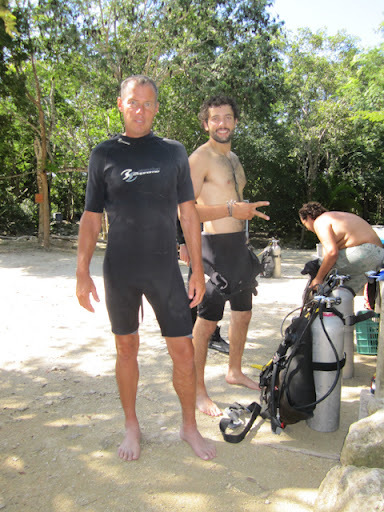 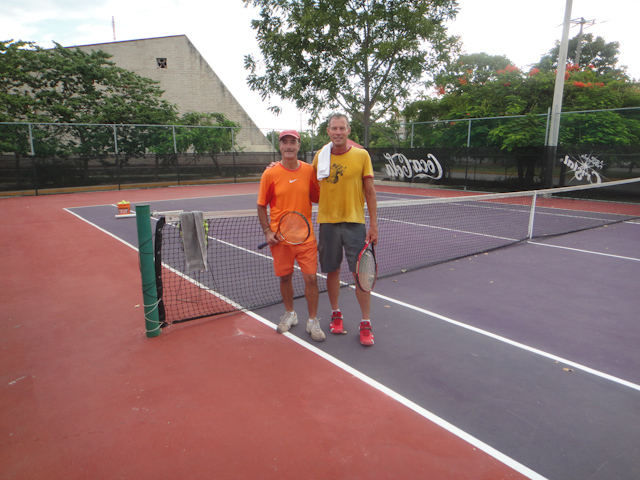 Somehow David looked convincing enough to let him through. 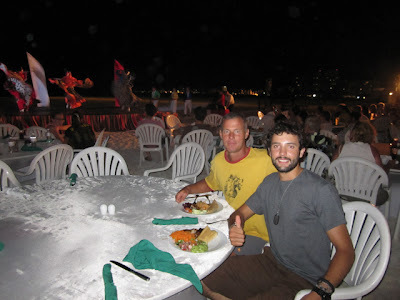 on the walkway freaked us out, but we continued our party crashing. 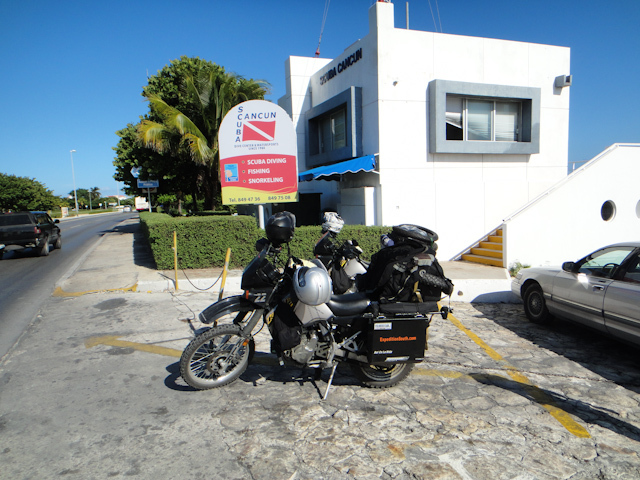 We figured if we´re going to get caught, we might as go out in style getting as many pictures as we could! We even enjoyed the show, and took a plate back to the room. 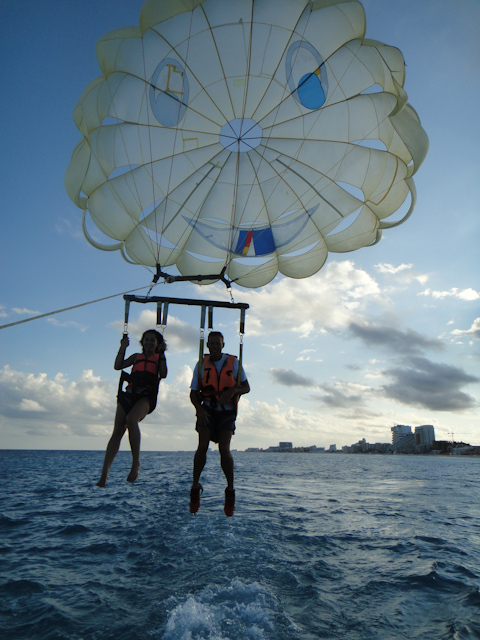 Another day, another crazy adventure. 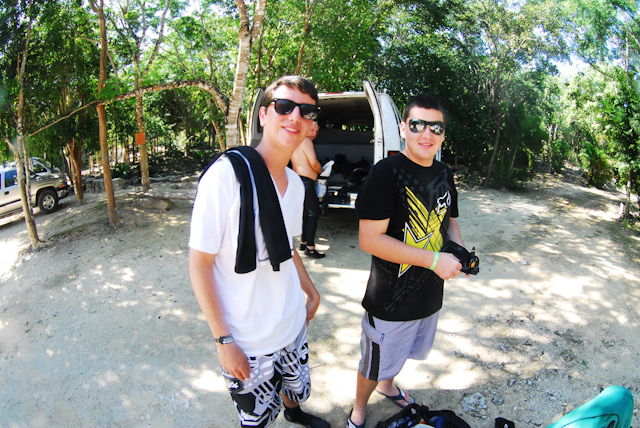 Until the next party we crash, adios!